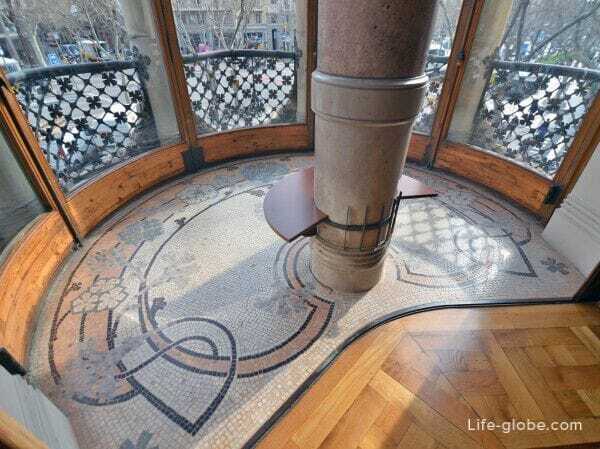 Casa Batlló, along with Casa Mila, without a doubt, the most famous, visited and, perhaps, unusual among the works of architect Antonio Gaudi. 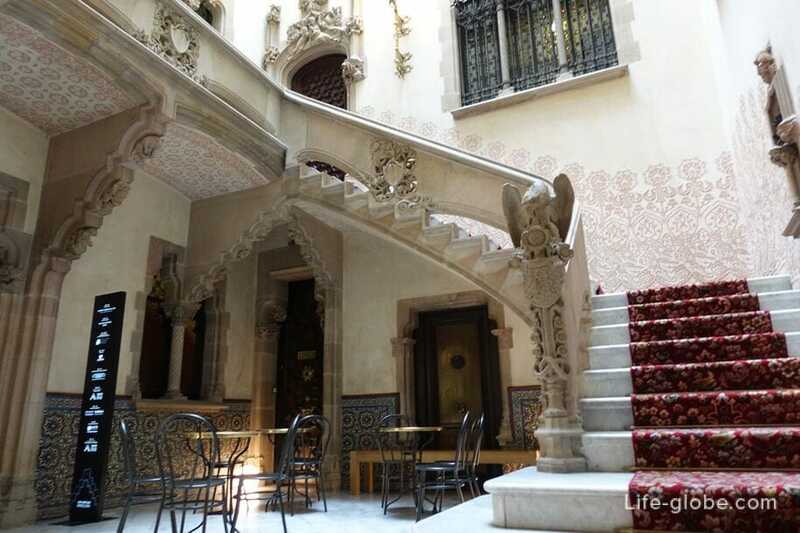 Both houses are included in the list of Barcelona's tourist attractions and have become an integral part of the tourist routes around the city. Among visitors, the Casa Batlló evokes rather mixed feelings. One it impressive, whereas others have to say about the house is very dry. 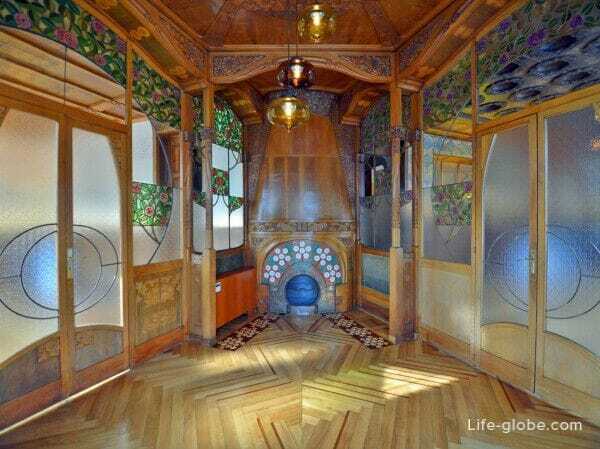 But one thing is for sure, Casa Batlló, and many other objects of Gaudi, leaves behind an indelible mark, positive or negative, doesn't matter, but to talk about one of the most famous creations of Gaudí, perhaps, never cease. 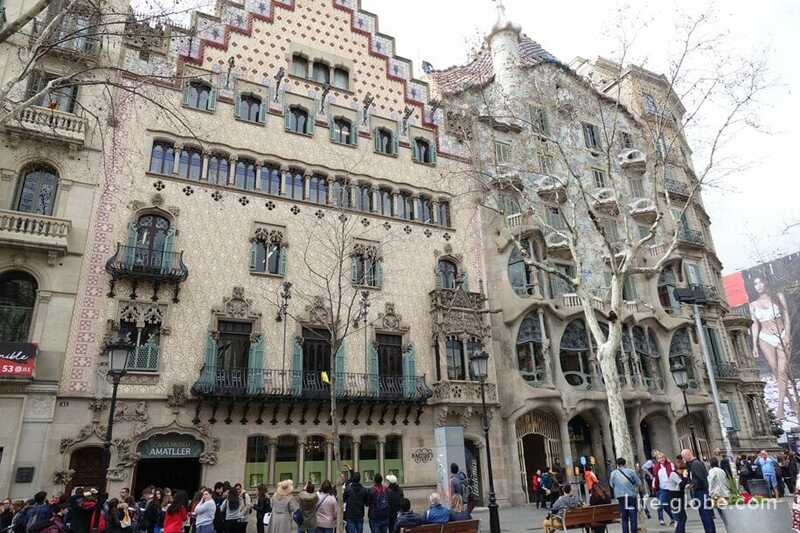 If you are going to visit Barcelona, or are already in the city to see Gaudi houses (Batlló and La Pedrera) certainly is, at least in order to make your own opinion and fully acquainted with the charming and sophisticated capital of Catalonia. 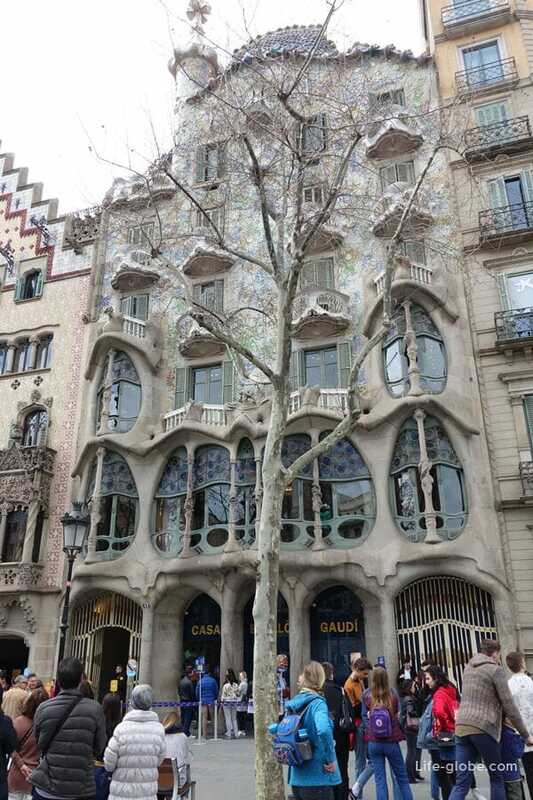 House Batllo (Casa Batllo) - the most audacious project of Antonio Gaudi in Barcelona. Casa Batlló is also a masterpiece of architecture and design, and one of the most iconic landmarks of Barcelona. Also considered one of the best works of Antonio Gaudi, during which the architect has solved all your creativity. And the only work of the architect, in the style of clean modernism and had the greatest interest in the international arena. Currently, the Casa Batlló is a UNESCO world heritage site. Since 2002, Casa Batlló is open for guided tours and other cultural events. Excursions and activities are constantly updated in terms of offer and content. Entrance fee. Tickets can be purchased online at the official website or in the ticket office of Casa Batlló. The house is open for visits every day from 09:00 to 21:00 (last entry 20:00). Approximate duration of visit is 1 hour. 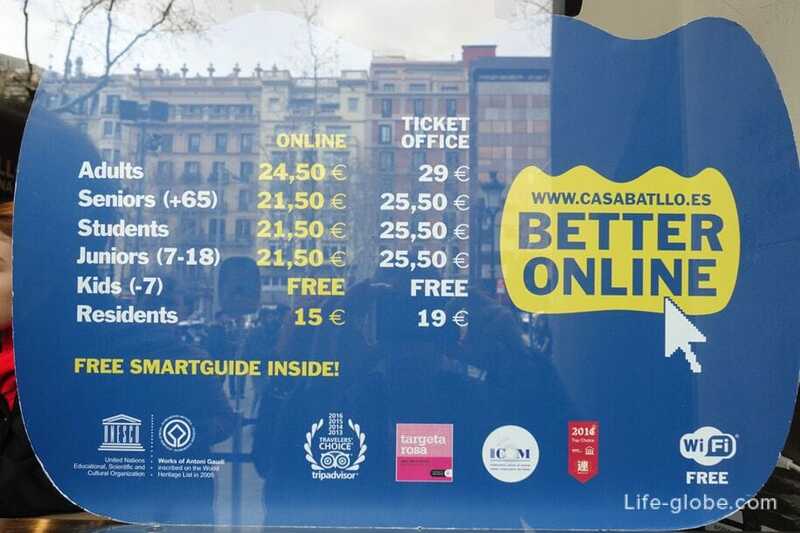 The cost of a ticket for the visit to Casa Batlló online is 24,50 Euro, at the box office - 29 Euros. In addition, you can purchase a ticket with a fast pass that will allow not to stand in the General queue at the entrance or buy. There is a ticket for a theatrical visit. 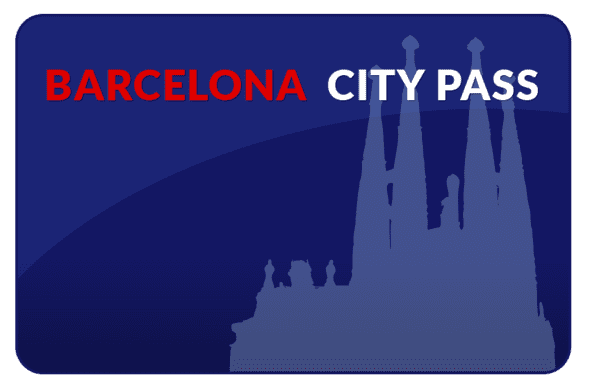 Tour "Magic night" - the night tour and live music under the open sky on the terrace of Casa Batlló. This tour starts at 20:00 hours and includes hour-long concert, which begins at 21:00 + two glasses of wine. Tour price 39 Euros. Tickets for the theatrical visit, magical night, and on visiting the house with an open date can only be purchased online. 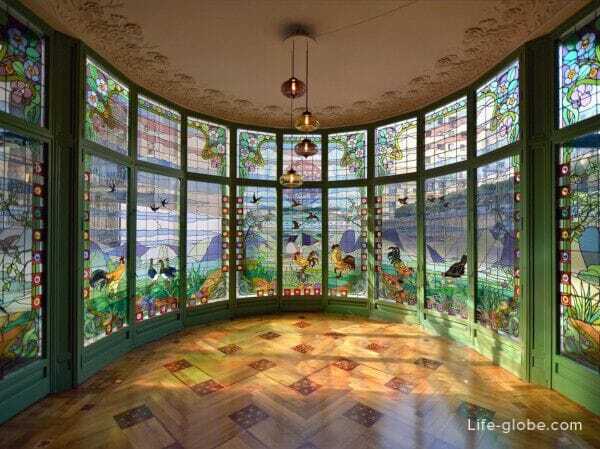 The history of the construction of Casa Batlló can be traced back to 1877, the house was built as a residential building. In 1860, after the approval of the urban development plan of Barcelona's Paseo de Gracia, which is Casa Batlló, was the main thoroughfare of the city. While the rich and noble families began to build along the Avenue their mansions. Thus, in the 19th century, this street had become a Boulevard for pedestrians and horse-drawn vehicles, and since the 20th century has become a major Avenue for the movement of cars in Barcelona. Initially, in 1877, the building Casa Batlló was designed and built by Gaudi's teacher, Emilio Sala Cortés. In 1903, the building was acquired by the textile magnate Josep Batlló-and-Kasanovas, in honor of which got its now famous name. Later Josep Batlló was commissioned Antonio Gaudi alteration of the building, which gave the architect complete creative freedom. Originally intended demolition of the building and the construction in its place a new project. However, thanks to his courage, Gaudi abandoned the demolition of the house between 1904 and 1906 he was made a complete reconstruction. 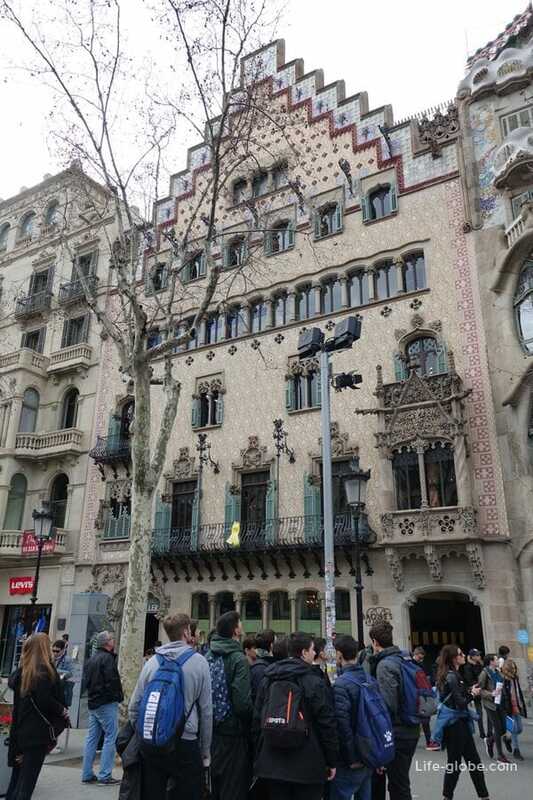 Gaudí completely changed the facade of the building, redesigned the interior, extended the patio and made the interior of the house is a real work of art. 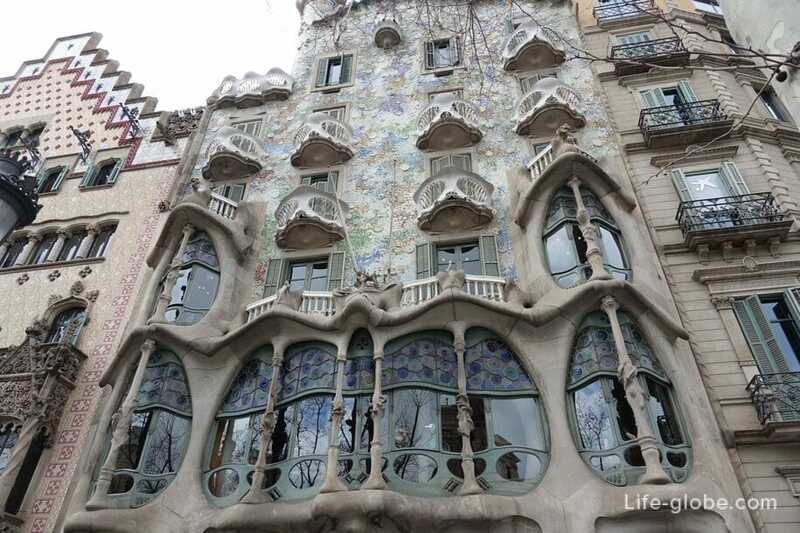 Casa Batlló has ceased to belong to the family Batlló in the 50-ies. After changing a few owners, which was both the company and individuals, since the 90-ies of the Casa Batlló became the property of the Bernat family, which fully restored the structure. In 1995, the family Bernat opened the door of the house to the public and introduced the world to this architectural gem, offering it a truly unique space for events and social evenings. 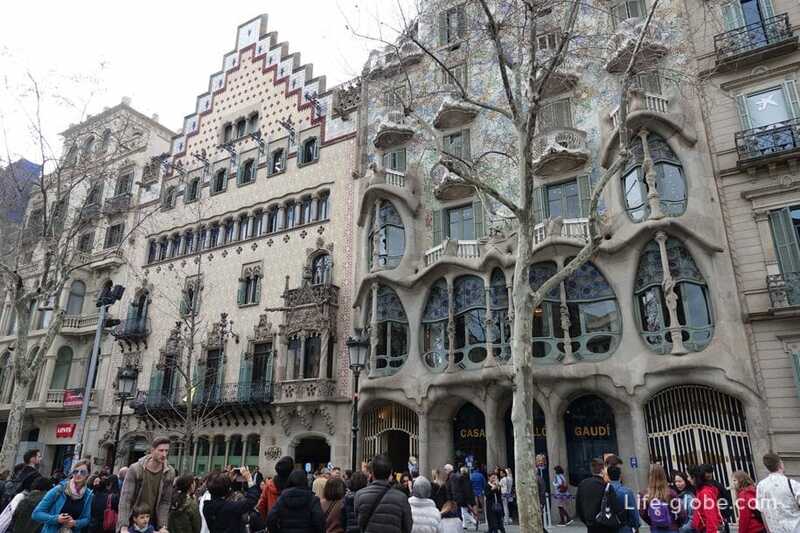 Around the same period during which the reconstruction of the Casa Batlló, Antoni Gaudí, next to the house was remodeled and other homes under the leadership of other outstanding architects. Then the reconstruction of houses are to have for architects and personal overtones because architects competed for the architectural award from the city hall of Barcelona. For this reason, this quarter became known as "la Manzana de La Discordia", which means "block of Discord" or "Apple of discord". - Casa Аmatller (work of the architect Josep Puig-Cadafalch). - The house of Leo-and-Moreri (architect Lewis Domenech and Montaner). - House Mulleras (architect Enrique Sagnier). - Home of Josephine Bonet (architect Marcel-Il-Cokelat). Directly to the Casa Batlló, with its left side, is another famous building, the Casa Amatller. House Amatller (Casa Amatller), together with the Casa Batlló, represent a surprisingly wonderful and memorable ensemble, where, on the one hand, the game subtly combines architectural elements and colors, forming a single picture, and on the other the houses are in sharp contrast to the flashy differences. Initially, the Casa Amatller was built in 1875. 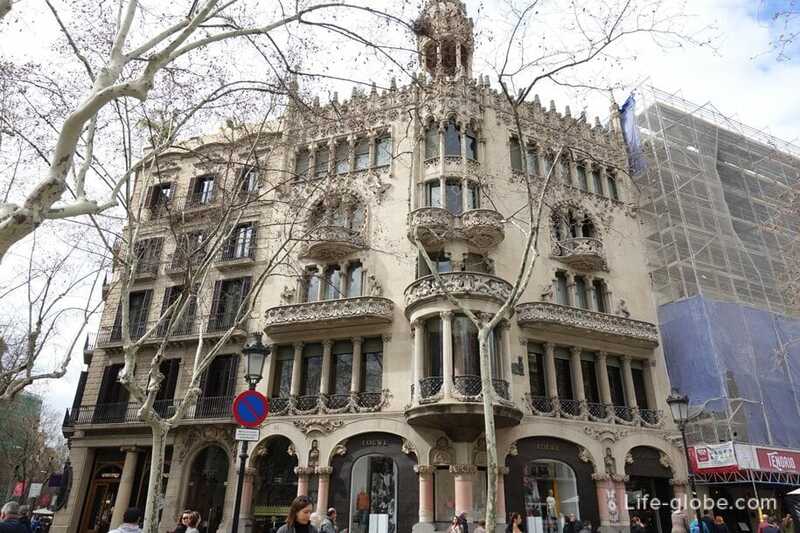 On March 12, 1998 industrialist and chocolate manufacturer Antonio Amalie purchased the building, and then ordered the reconstruction of the house of the famous Catalan master Josep Puig-Katafalka. The result of this work, during which the redevelopment was carried out and executed the decoration of the building, the house was reborn and began to play with new colors. 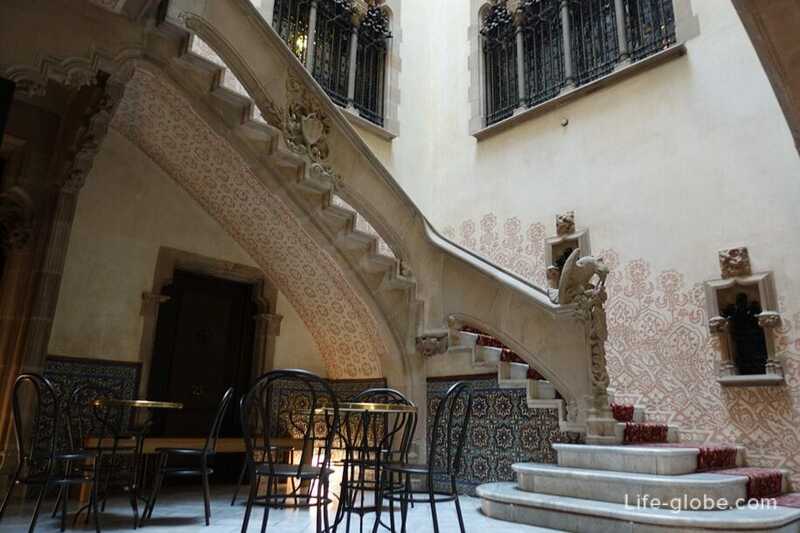 After the restoration, in 2015, the Casa Amatller was opened as a Museum, retaining some of the furniture and decorations of the time of the 1900-ies. Currently, the Casa Amatller is a chocolaterie and guided tours. The tour lasts 1 hour, includes a tour + a Cup of hot chocolate. The price of an adult ticket is 24 Euros. Tickets can be purchased at the box office or on the official website. House Lleo Morera (Casa Lleo Morera) is another magnificent building located next to Casa Batlló in the "Block of Disagreement". The architect Lluís Domènech i Montaner was commissioned by Francesca Moreray and Ortiz to work on the house, Lleo Morera in 1902. At that time in Paseo de Gracia 35 was located in an old building called Casa Rocamora, built in 1864. Architect Lewis Domenech and Montaner designed a complete renovation project of an existing house using different materials. Reconstruction lasted until 1906, after which the building became truly modernist work of art. During reconstruction it was rebuilt the facade, added three galleries and stone balconies on the different floors, but a travel-designed interior. In the interior of the house, Casa Lleo-Morera, you can see the explosion of modernism, which is one of the best preserved in the city: stained glass, mosaic, ceramics, sculpture, wood, marble... all embodied in the interior of this and to this day unusual home. Casa Batlló is located 700 metres from Plaza Catalunya, Passeig de Gràcia, 43, 08007 Barcelona, Spain. From Plaza Catalunya to go up (from the sea), in the Paseo de Gracia (Passeig de Gràcia). How to get there. Metro: Passeig de Gràcia, L2, L3 and L4. Trains: RENFE, stop Passeig de Gràcia. FGC Provença stop. Buses: H10, V15, 7, 22, and 24.